Eyeliner trends come in three categories: the good, the bad, and the crazy. The first two are a given with all makeup trends. Some looks, like the smoky eye, work so well they endure the passing phases. Others, like the idea that unblended eyeshadow is a trend rather than a mistake, need to be nipped in the bud. Seriously, if you walk out the door with random unblended makeup on your face, you should be paying more attention to Janna’s makeup tutorials and reading our makeup guides. If you subscribe to the third category, I applaud your bravery. Crazy eyeliner styles take skill and creativity. If you know how to apply a variety of different eyeliner styles, go on your way and send me your Instagrams so I can follow you. If you’re new to the crazy club, let these unexpected looks inspire you in some crazy eyeliner indulgences! Your crazy eyeliner can be festive. The candy cane look has been in for a few years, but that doesn’t make it any less wacky. You’ll look like you just walked out of The Nutcracker ballet, but it might be just the thing to keep from blending in at the annual holiday soiree. Liquid eyeliner designs are a fine substitute for 3D looks if you want a gentler introduction to crazy eyeliners. 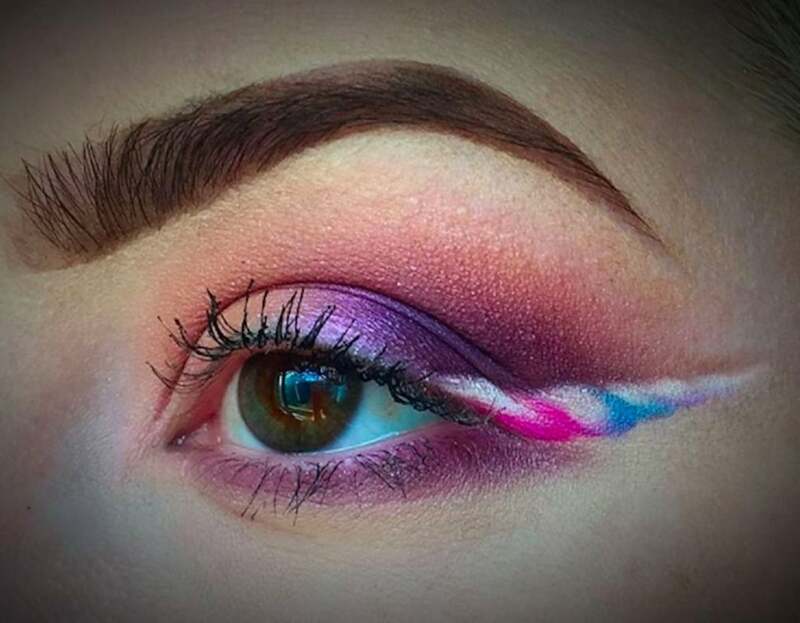 Try your artistic touch at this magical unicorn-inspired look that took Instagram by storm this summer. Who wouldn’t want to get all crazy with sparkly pinks, purples, and blues? Yes. In 2016, crazy eyeliner crossed the line and otherwise stylish people started painting dicks over their eyes. This is not a makeup trend you should be participating in. It’s how one behaves when they’ve run out of ideas and are looking for a cheap laugh. This look is only here to remind you how versatile liquid eyeliner designs can be. You can truly draw anything you like, although please don’t. 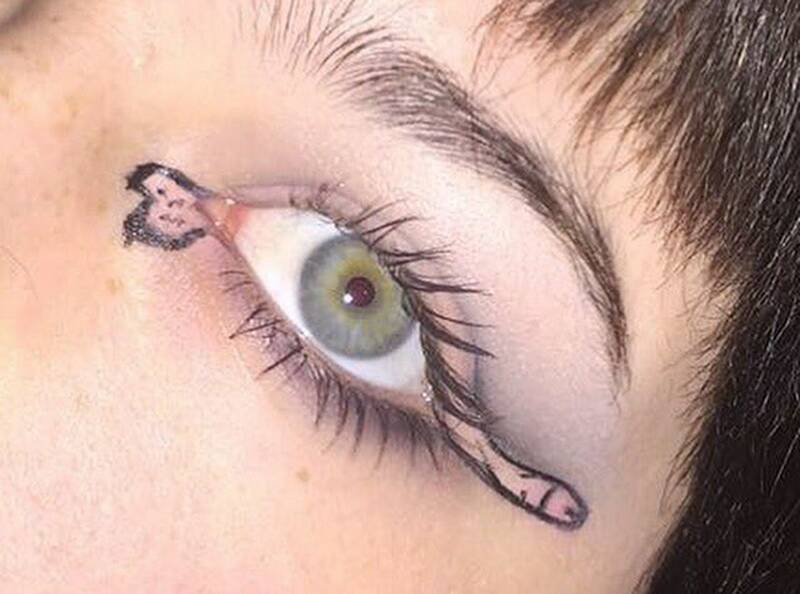 Think of your eyelid as a canvas. You can blend like an impressionist, trace contours like a modernist, or try some stippling like a pointillist. Pointillism isn’t for the faint of heart. You want to limit the look to your eyelid unless it’s a Halloween party or something theatric. However, if you’re looking for eyeliner styles to grab attention, the peacock look is a classic choice. 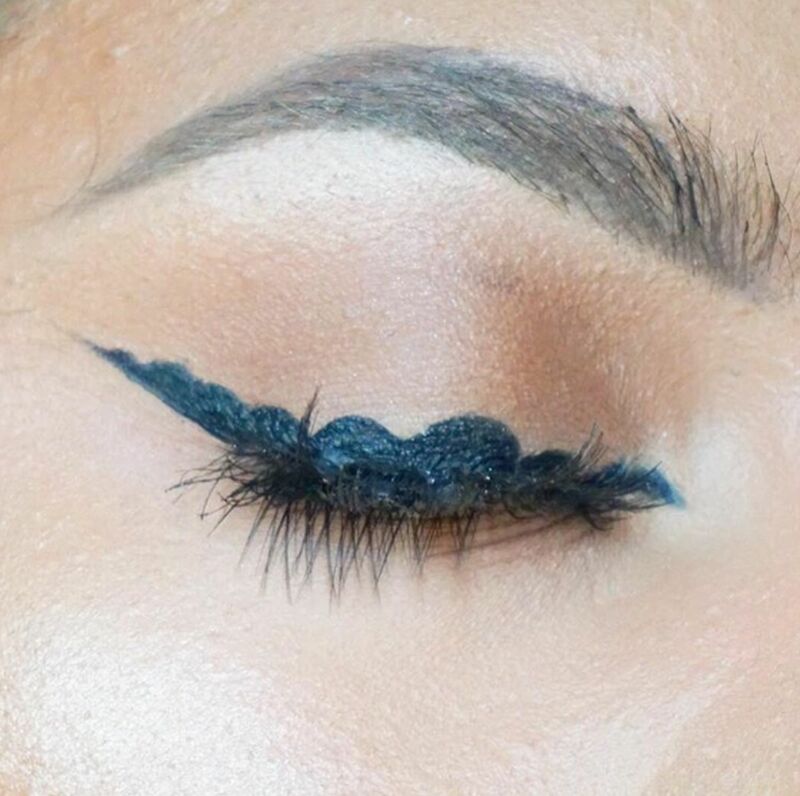 You must be meticulous to learn how to apply this unique eyeliner style. Think of it as painting trim along the edge of your eyelid. You can be subtle with this look, which makes it a nice crazy eyeliner design to try out in a formal, low-risk situation. If you want to work up to wearing these eyeliner styles out and about, this one can usher you in. When people teach how to apply different eyeliner styles, it’s usually assumed the outer edge of your eye should slope up. Downward-sloping eyeliner looks cute. It has a sweet melancholy effect that makes you appear particularly sincere. If you want to have a fresh edge at the bar, give this look a trial run. Are you prepared to try a little crazy before 2016 has ended? You never know who your crazy eyeliner style will win over.